How to grow your leadership impact? Improving your leadership impact is a holistic journey. There is neither a definitive step by step approach to it nor a single checklist of 7 ways you can improve your Agile Leadership Impact. While every leader's journey is unique, below I offer two actionable ways you can massively up your leadership impact. 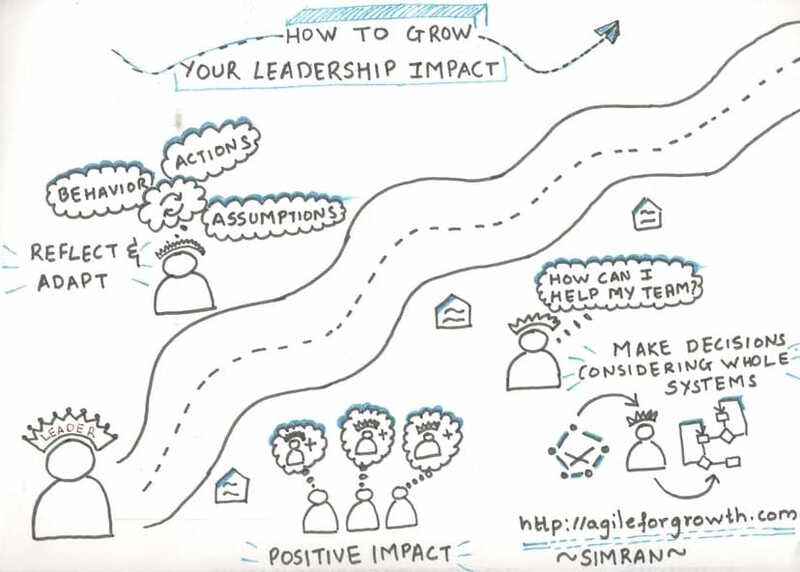 One of the essential elements of being an Agile leader is that you constantly reflect and adapt your leadership impact on the people you lead. Pick up the mirror often and check your behavior, actions, and assumptions. Evaluate regularly if people you lead are impacted positively and are benefiting from your leadership. Your intention to serve the people you lead, empower your people and develop them is important. However, if your actions are not aligned with their needs they have from you, your leadership impact is going to be severely limited. An easy way to address it and grow your leadership impact is to ask the people you lead. 1- What is my team's biggest challenge or pain point? 2- What can I do to make things better? Organizations are complex systems. The nature of problems within large organizations is also complex. Typically leaders take a local view, skipping the systemic view of the organization when making decisions. To address whole systems - Leaders must develop an ability to recognize the whole system and make decisions that optimize the whole system rather the parts of it. Leaders who help others in the organization to see the whole systems are able to create a shared understanding of the complex problems. It allows these people to collectively develop solutions that go deeper than simply fixing symptoms to address the roots of the problem. Everyone can potentially lead and everyone has the capability to play leadership role irrespective of the position they hold in their organization. However, leaders aren't created automatically. One of the responsibilities of the leaders within an organization is to mentor future leaders. Future leaders can develop into becoming leaders only if they are entrusted with responsibilities and given opportunities. If the leaders you've developed are easily able to transition into your responsibilities and take the organization further when you move out - consider that you've been an effective leader. To mentor and coach future leader and help them grow requires a Servant-Leader mindset. Improving the leadership impact is a journey and requires cautious and dedicated effort. I'm curious to know, what is your favorite way to grow your leadership impact? We offer public and corporate in-house, Certified ScrumMaster Training – CSM, Certified Scrum Product Owner Training – CSPO, and non-certification version of CSM and CSPO workshops. We offer corporate on-site workshops customized to your needs such as: Scrum for Teams, Experiential Scrum Master Workshop, Agile Boot-camp, Agile For Leaders, Agile Leadership, LeSS Framework Training, Facilitation and Agile Coaching Workshop, and Kanban Workshop. 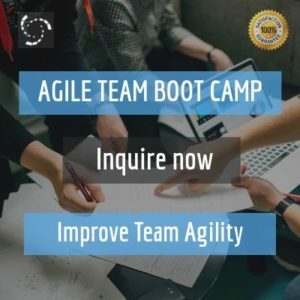 Agile Assessment – Check How Agile is your Team? Fast!! Who can become a Scrum Master?